This is Bert's favorite spot to perch, especially when the sun hits it. But he's usually he's sitting upright, slowly turning his head from side to side and surveying the land. I call him Ranger Bert—and always picture him wearing one of those hats. The best part is that he's level with the second floor of the new house, which is only about 30 or so feet away, so you can look out the living room windows and see if he's up there on duty (or up there off duty). 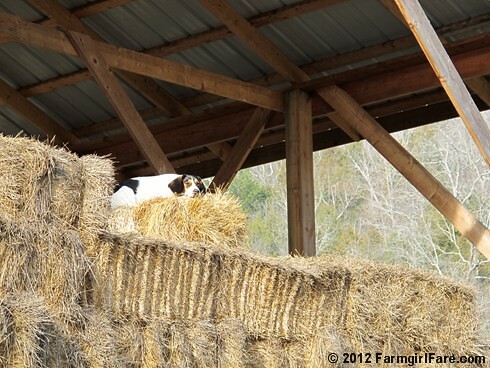 © FarmgirlFare.com, home of the Bert's eye view—and always on the lookout for more cute. I love getting your post in my email everyday. The pics are great! 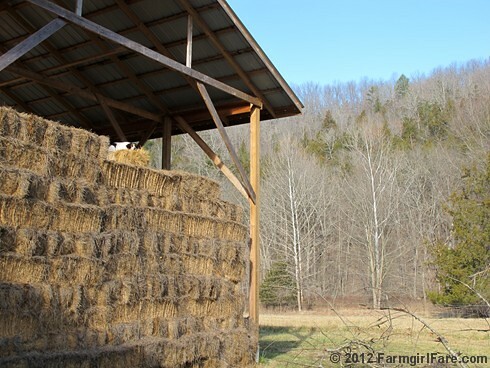 It's also really nice to see another farmgirl working with the land and animals. Next life, I want to come back as Bert! 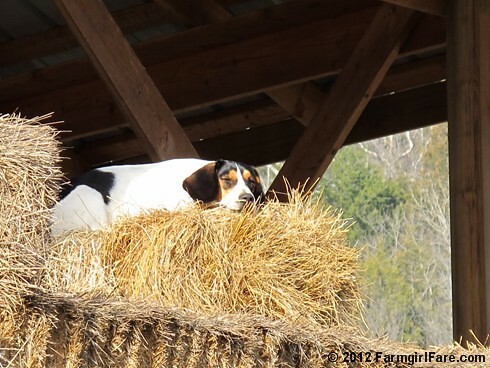 Bert has a great doggie life!